As Autumn is in full swing, the days are getting colder and a Sunday roast is top of many people’s list to finish a great weekend. But why stick to the norm and enjoy a meal that can be bought in any decent pub? Lucy and I want something a little different this Sunday and something to warm us up properly on this cold Sunday afternoon. 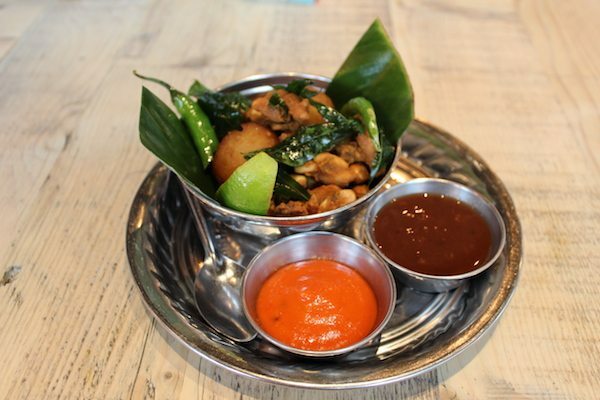 Top of our list is the spicy and vibrant flavours of a proper Indian. 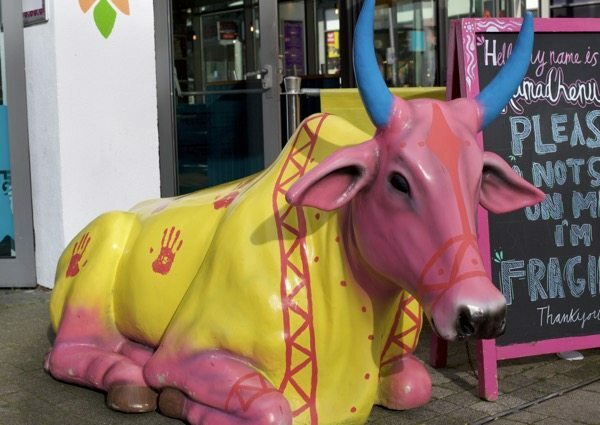 Moving away from the standard Indian found anywhere down Brick Lane, we want authentic cuisine that offers something unique, so where better than one Brighton’s leading restaurants, the Chilli Pickle. Not new to us this is one of our favourite restaurants, not just in Brighton but in the UK. Having lived in London for a number of years I can honestly say the Chilli Pickle is leagues above the ones I’ve tried there. As we enter there is the familiar welcome from their amazing and attentive staff, no matter how many times we go or which staff are working they are always fantastic. Regardless of the quality of food the staff have me returning again and again. I cannot speak more highly of the staff. The knowledge they have of the produce which they serve is evident when asking for recommendations. Passionate about the food they serve and the key ingredients used, the waiting staff ask about your palate and spice tolerance and can really recommend something specific to your tastes. This just shows the attention to detail and superb training from the owners. We are shown to our table by the window with a great view of the amazing selection of jams and chutneys that are well worth the purchase on your way out. 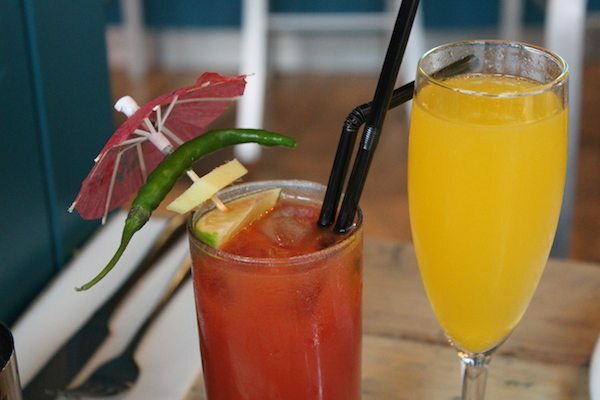 As it is Sunday they have the ‘Sunday Specials menu’ which puts smile on my face as always, with a Chilli Pickle Bloody Mary on the menu, it would be rude not to order one. Lucy has chosen the Mango Bellini. As the drinks are brought over we look through the menu to decide on what will be warming our cockles this Sunday. Knowing how wonderful the Chilli Pickle desserts are, we have decided to share a starter. For a change we choose the Peanut Pakora & Coconut Patisse, crunchy peanuts with coriander coconut balls served with a tamarind chutney and a smoked pepper chutney. 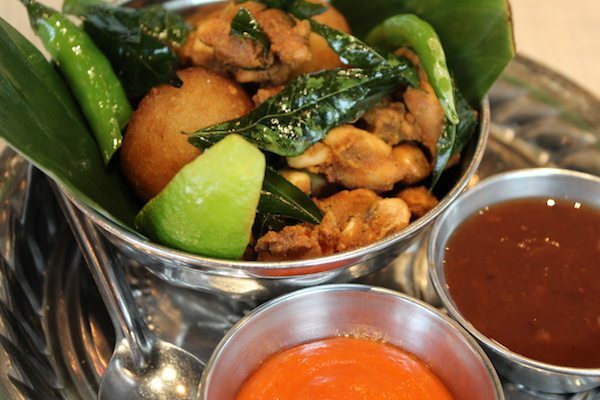 Advised perfectly by our waitress, we take a bite of pakora with crunchy peanuts and a dab of each chutney, tips like this make the meal all the more enjoyable. 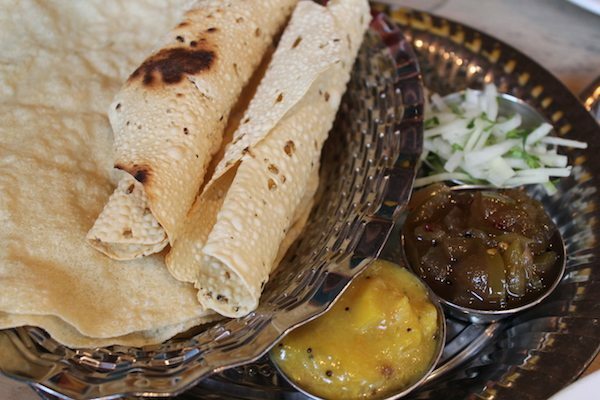 Of course we add poppadoms to the order accompanied with an array of delicious Chilli Pickle chutneys. Lucy delves straight into the chilli jam, her personal favourite, and I go for the sour taste of the hot lemon pickle, the right amount of sour to purse your lips together without bringing a tear to your eye! As fabulous as the starter is I am so excited about my main. 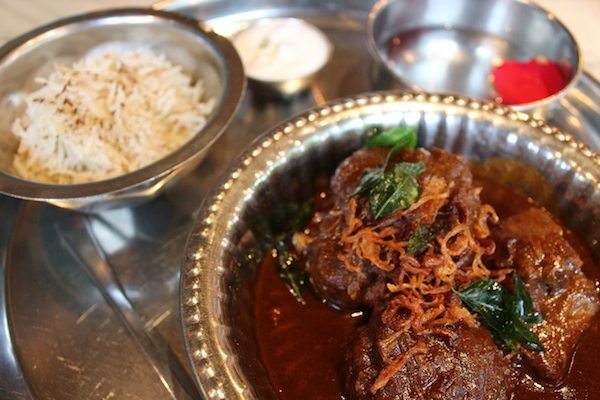 I have walked past the Chilli Pickle on many occasion and seen the Sunday specials, but have never had the pleasure ordering the Oxtail Madras. My luck is in as it is on the menu; all that is left is Lucy to decide and with this superb menu this way take a while. 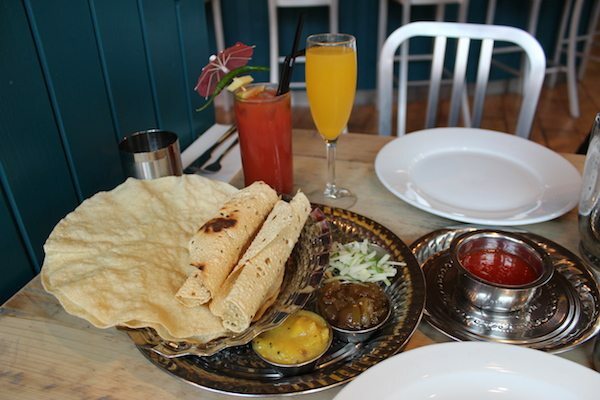 I order another Bloody Mary in anticipation of Lucy’s decision and she makes me slightly jealous as she orders the Seabass and King Prawn King Thali lunch special. Feeling slightly full from our poppadoms and starter, the waitress kindly offers a much welcome break between our courses. 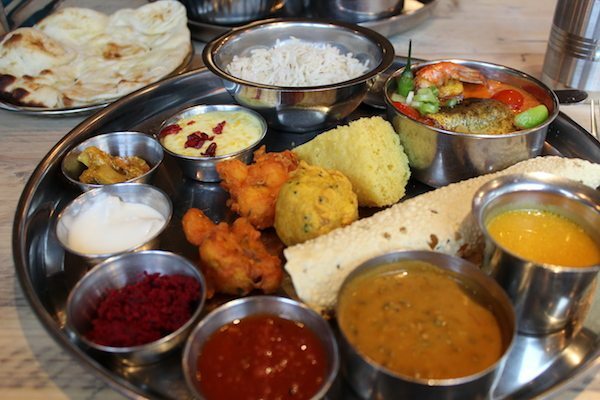 Following on from the presentation of the starters, the Thali is served on an authentic railway tray, much like the authentic metal water jug and cups. It is small touches like these that make you forget that Brighton is just outside the window. I am salivating at the smell of spice as the Oxtail Madras is placed in front of me. The main event is served in its own bowl with the perfectly cooked rice served on the side. I love this way of serving as this allows you to administer the sauce in a way suitable to your taste; personally I don’t want everything mixed together beforehand. I like to add a little rice to my spoon before delving into the rich sauce and meat that just falls from the bone. My expectations are exceeded and the meat literally melts in my mouth. Wonderfully filling, rich in flavour, packing a punch of spice, wow this is amazing! Only one Indian dish have I enjoyed as much and that too is from the Chilli Pickle, their fabulous pork belly curry. 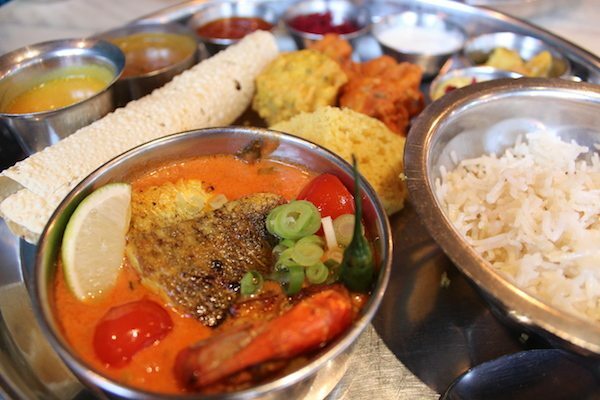 What can I say about Lucy’s Thali? The old railway tray puts a smile to my face, it makes me miss my travels through Asia as a remember some great times with friends on overnight trains. Any restaurant that can evoke memories of the past is a restaurant worth revisiting. If you have seen the Pixar film Ratatouille you remember the end with the film critic being taken back to childhood memories, this is the sensory experience that the Chilli Pickle offers me. What a selection for a great price, this is real value for money! The Seabass and King Prawn curry is served in a beautiful sauce that just keeps giving. The spice creeps through, complimented by a warming chilli heat, a real skill from the Chef layering intense flavours. 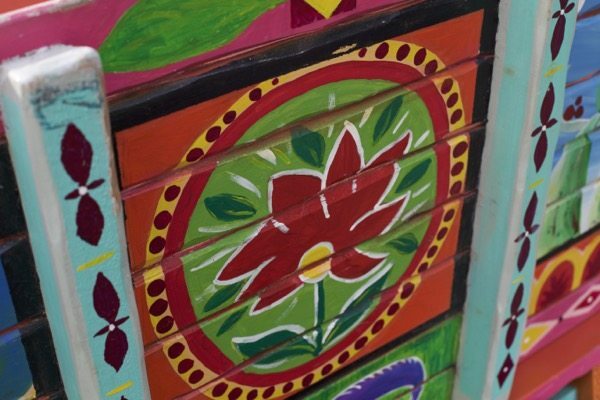 The large metal tray offers an array of chutneys and pickles, boasting a plethora of vibrant colours. Accompanying these is a baby naan, spicy soup and black lentil dhal. A snack of cauliflower pakora finishes the tray, making this a complete meal. Lucy asks the attentive waitress for a bit more of the Chilli Pickle chilli jam for the additional poppadom. The King Thali comes complete with a mini sweet to finish the plate of an Indian style rice pudding. This is light, fluffy and delicately flavoured with rose water, a real treat after the mouth watering main course. We take the time to peruse the dessert menu and have to sample these tasty treats. 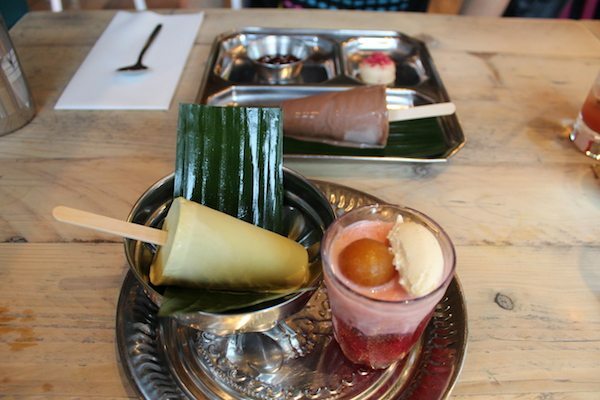 They offer a selection of Kulfi, an Indian style ice cream served on lollipop sticks, dense in texture almost fudge like. 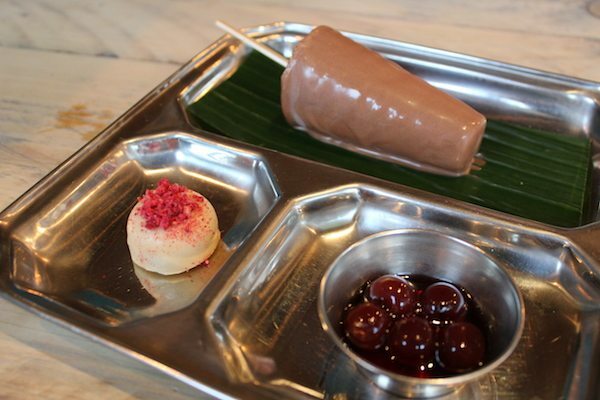 We choose the Dark Chocolate Kulfi served with Griotine cherries and a white chocolate & raspberry truffle, with the Pistachio Kulfi falooda. Normally I find dark chocolate a bit too rich but the kulfi is creamy and moreish, so thick with cream it’s ice cream you can almost bite through. Complimented with the tartness of the cherries and the truffle, this is a dessert fit for any feast. The pistachio offers a sweet almost earthy flavour contrasting the chocolate kulfi. Sharing the desserts is a real treat, enjoying both lollipop ice creams allows you to experience a variety of tastes to finish a truly enjoyable meal. 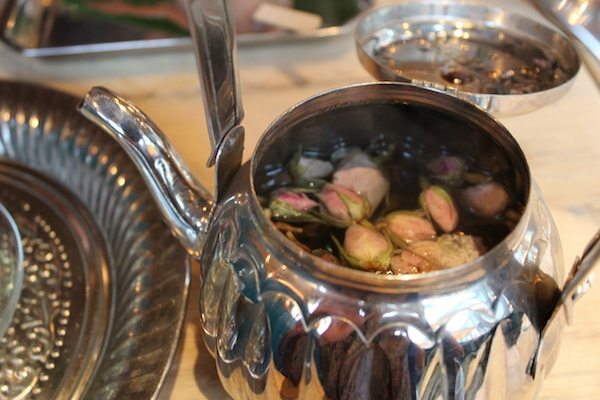 To wash down the wonderful desserts we order a Kerala coffee and whole rose bud tea, served alongside the desserts and a real theatre experience. The waitress pours the coffee from a height into the small cup to create the bubbles, a real practised skill for I am sure only the steadiest of hands. The coffee is divine, wonderfully spiced and creamy, a great end to a perfect Sunday with Lucy. 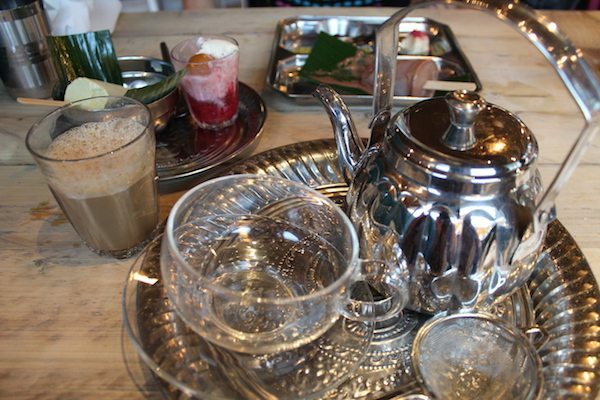 The tea is delicate in flavour, served in an ornate metal pot, Lucy loves it. I am a coffee man so we are one very happy couple. 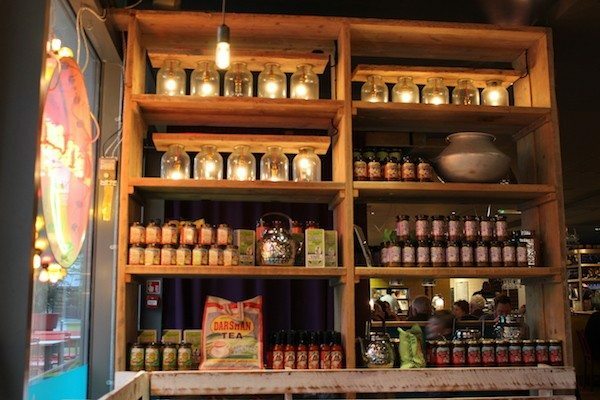 The Chilli Pickle deliver such great food that you recognise the faces of returning customers around you, they offer a real Indian experience that tests your senses and leaves you yearning to board a plane to visit distant lands. If you visit only one restaurant this coming winter make sure that it is the Chilli Pickle.